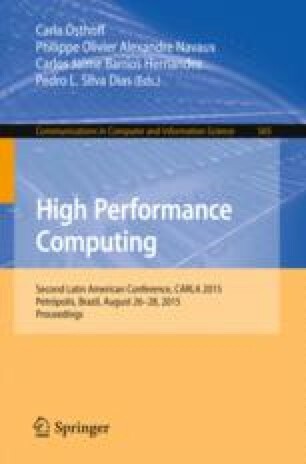 The use of large distributed computing infrastructures has become a fundamental component in most of scientific and technological projects. Due to its highly distributed nature, one of the key topics to be addressed in large distributed systems (like Grids and Federation of Clouds) is the determination of the availability and state of resources. Having up-to-date information about resources in the system is extremely important as this is consumed by the scheduler for selecting the appropriate target in each job to be served. The way in which this information is obtained and distributed is what is known as Resource Information Distribution Policy. A centralized organization presents several drawbacks, for example, a single point of failure. Notwithstanding, the static hierarchy has become the defacto implementation of grid information systems. There is a growing interest in the interaction with the Peer to Peer (P2P) paradigm, pushing towards scalable solutions. Super Peer Policy (SP) is a decentralized policy which presents a notable improvement in terms of response time and expected number of results compared with decentralization one. While Hierarchical policy is valuable for small and medium-sized Grids, SP is more effective in very large systems and therefore is more scalable. In this work, we analyze SP focusing on the communication between super-peers. An improvement to the standard protocol is proposed which leads to two new SP policies outperforming the standard implementation: N-SP and A2A-SP. These policies are analyzed in terms of obtained performance in Exponential and Barabási network topologies, network consumption and scalability. E.M. is researcher of the CONICET. This work was partially supported by grants from Universidad de Buenos Aires (UBACyT 20020130200096BA) and CONICET (PIP 11220110100379).